Lt. (j.g.) Louis Arion Palmer, son of A.J. Palmer, attended Univ. of Okla.; husband of the former Anne Hostler. 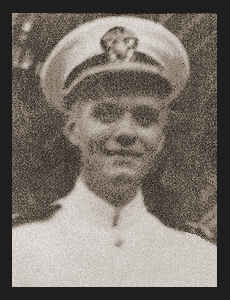 Entered Navy in Jan., 1942, trained in Cambridge, Mass. ; served in the Pacific. Awarded Letter of Commendation.